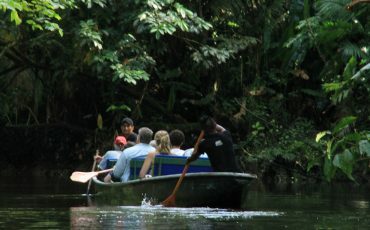 The Yasuni Tour gives you the possibilty to get to know the whole jungle experience. 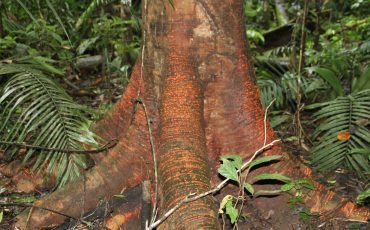 From the bromeliads, ferns, and orchids that cover a kapok tree 160 ft. above the forest floor to the jaguars that prowl below, Ecuador’s Yasuní National Park is home to countless plant and animal species of the Amazon. 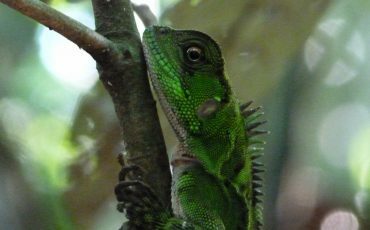 107 reptile and 111 amphibian species and up to 283 different sorts of trees are registered in Ecuador’s Yasuní National park. 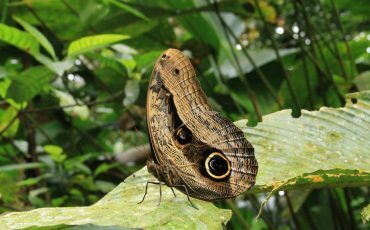 The biodiversity and wildlife now face threats from oil exploitation in this rainforest region. Tourism therefore is the sustainable pendant that gives local communities an alternative livelihood and a possibility to preserve nature, wildlife and biodiversity. A rewarding 30-minute flight over the eastern Andes mountain range to Coca is the beginning of this amazing experience. After landing, a short five minute drive to the port on the Napo River will take you on to a comfortable covered motor boat. Here we start a boat ride along the Napo for approximately 2 hours. Some aquatic birds can be spotted on the way. After arriving at Napo Wildlife Center’s welcoming area, we take a magical and peaceful 2 hour dugout-canoe along a narrow creek that connects to the lake where the lodge is located. 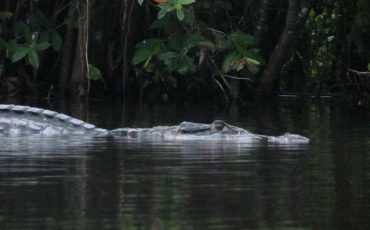 Great chances to spot wildlife, various species of monkeys as well as large birds like toucans, parrots or even macaws. Late afternoon arrival at the lodge. After a buffet breakfast, experience the life above the forest floor visiting the 36-meter canopy tower. This tower is located about 30 minutes from the lodge, deep within the forest. 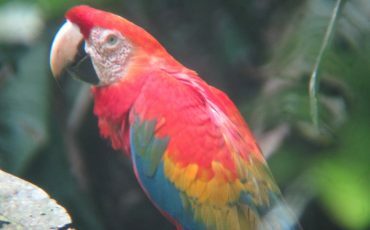 Get a very good sample of the 567 species recorded so far, with a close look at colorful tanagers, macaws, toucans, flycatchers, and even spider or howler monkeys feeding themselves on the nearby trees. The canopy tower opens a whole new world to the guests of the Napo Wildlife Center. Return to the lodge for a typical Ecuadorian lunch. After lunch there are many options to choose from before you start the afternoon activity: climb the dining room tree tower for more birds, or just relax in your hammock. In the afternoon, hike through a marvelous terra firme forest to discover the ecology and the role of plants in the complex world of the Tropical Rain-Forest: vines, ancient trees, bromeliads, orchids stand out in this impressive natural garden. After the hike, explore the surrounding creeks with possibilities of running into a Giant otter family. Dinner at 7:30 pm. 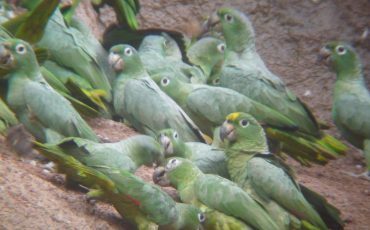 This morning we visit the best parrot clay lick in Ecuador! Early start and paddle downstream on the Añangu creek as far as the welcome area. Then, take the motor boat for a 10 minute ride for a wonderful view of thousands of parrots such as Amazon-Mealy, blue-headed, orange-cheek, among others, landing on the earth to eat the clay. Later we will be back at the welcome area and take a short hike to the parakeets’ clay lick, where hundreds of cobalt-winged parakeets remain on the top of the trees searching for the best time to eat the salts, chemicals and minerals contained in the organic matter. Lunch in the welcome area. 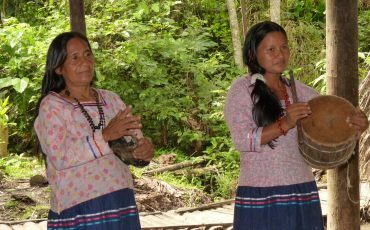 In the afternoon, visit the interpretation area to see the traditions of the ancestral Kichwa community of Añangu. We will be back at the lodge late in the afternoon where you’ll be welcomed back with a refreshing fresh juice. Dinner at 7:30pm. 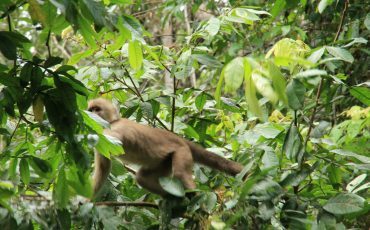 This morning we hike along the Tiputini trail and its terra firme forests and swamp forests, searching for more wildlife such as golden-mantled tamarins, white-faced capuchin monkeys, two and three toed sloths, pigmy marmoset monkeys, and their tracks on the forest floor. We will return to the lodge for lunch and have a well-deserved rest. In the afternoon paddle canoes will take you to explore deeper areas in the surrounding creeks with more possibilities of seeing unique wildlife. 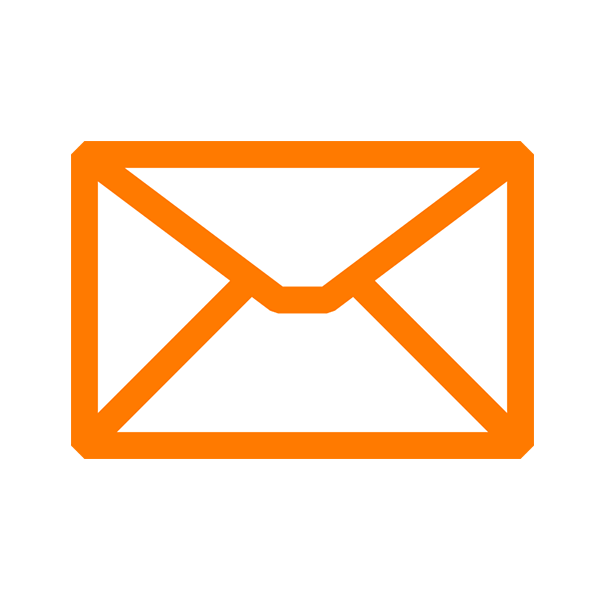 After dinner a video about the community and Napo Wildlife Center will be shared with you. 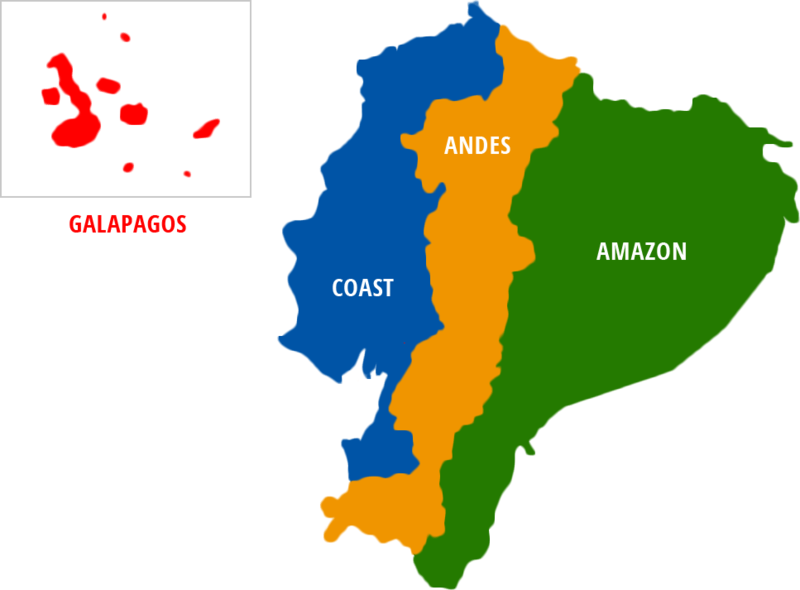 On your last day you will have an early breakfast and a last excursion canoeing back to the Napo river, the creek may reveal new sights of giant otters, monk saki monkeys, hoatzins, blackcapped donacobius or other birds. The motorized canoe will return you back to Coca for the flight back to Quito.